How did your digital fall fling go last month? Isn’t it great to be able to easily find your digital files, photos and apps? This month we will look at items that tend to accumulate around our homes without realizing it. They are books, unused picture frames, pet supplies, and even grocery bags that we often neglect or ignore until they get overwhelming. Join in this month’s fall fling, have fun sorting and organizing and flinging the extras. It will only take 5 – 10 minutes for each task and you’ll be able to enjoy the benefits for a long time. You can choose to do all 4 tasks at once or do one each week. We have many shelves of books but often don’t look at them and rarely find just the right one to read there. We might have enjoyed a book the first time we read it and thought we might like to re-read it someday. Yet most of the time we prefer to choose a new selection instead of going back to the shelves to find a previously read book. First, evaluate your current reading preferences. What genre do you read most often? Have your preferences changed? Do you find yourself mostly reading on an iPad or tablet? Next, gather all your books from throughout your home. Do you have duplicates that you can let go of? What about ones that no longer match your preferences? Gather all the books that you are no longer going to read and either donate to your local library or sell to a local book buyer. 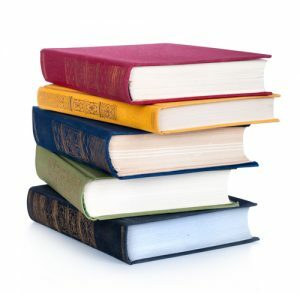 (Most book buyers are very selective in what they buy and offer the seller little money in return.) Did you find books you haven’t read yet, but would like to? Keep these books on a separate shelf so you can retrieve them easily and enjoy what you have already purchased. We have good intentions to use the frames we’ve saved. Perhaps we were going to do a photo wall or update the style of the frames already displayed on our walls, but we changed our mind or never got around to it. Maybe we have removed photos from frames and decided to store the pictures digitally leaving us with extra frames. Perhaps we opted to have photos printed on canvas instead of framing them or are displaying them on our computer screens, so the number of frames needed has decreased. 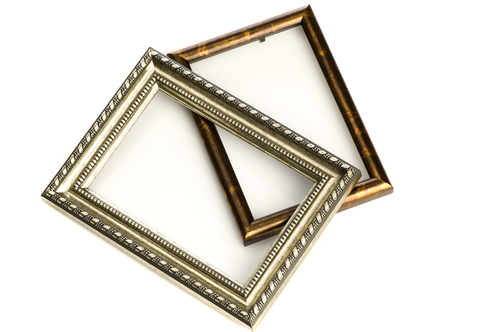 Look through your boxes, bins and cabinets to find all the frames you currently aren’t using. You may even want to gather frames with old photos in them that you are no longer displaying, remove the photos and save them electronically. Line up all your frames and evaluate; consider if the frames still match your decorating style, if the size is still one you would use for your photos, if they are still in good condition, and how many frames you realistically need to keep. Remember: decorating tastes can changes, so the frames you tuck away today may not be the ones you desire to use in the future. Store the few chosen frames you want to keep together in a well labelled container in a location that you will quickly recall when the time comes to use them. Donate the rest to your usual charity or find a charity like SCRAP PDX that has a specific need for items like frames. It seems like whether we have one pet or many furry friends, their supplies tend to quickly multiply. We might buy the latest and greatest toy, collar, or food dish without taking time to let go of the older version. Maybe the once little puppy has grown and no longer fits in her cute little sweater. Gather all of your pet supplies and group by categories; play, grooming, feeding, health care, and walking. Be critical as you sort through, comparing similar items and then delete (or fling) the worn out ones, ones that weren’t really as good as they originally seemed, or extras of the same thing. Find a suitable container to hold each grouping of supplies. Decide the best location to store these supplies to make sure you can get at them easily as well as return them with ease. 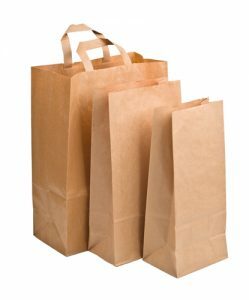 We try to remember our reusable bags whenever we go shopping but still often end up bringing home paper or plastic bags. We tuck them away, use a few for other purposes, but the accumulation of bags tends to increase as well as the chaos that comes with it. When was the last time you took a few minutes to corral your shopping bags? Choose a container to hold each type of bag: reusable, brown and plastic. There are many possibilities, whether you are using containers found around your home or purchase something new. Where you store the bags will influence the kind of container you want to use. You can place them all in one of the other bags, a small cardboard box, a basket, a magazine file or a plastic container. Once the container is neatly filled with only as much as it will comfortably hold, fling the excess bags. 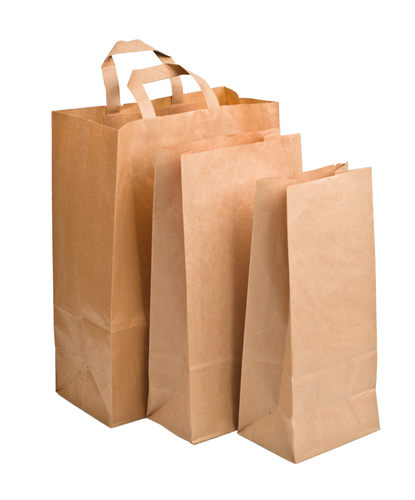 You can donate brown grocery bags to food pantries and recycle your plastic bags. These easy tasks can make a big difference in your home. Get started on your fall fling now and enjoy the benefits of a clutter free home.